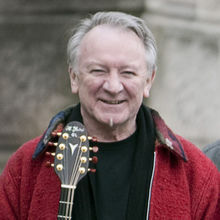 Dónal Lunny is an Irish folk musician and producer. He plays left-handed guitar and bouzouki, as well as keyboards and bodhrán. As a founding member of popular bands Planxty, The Bothy Band, Moving Hearts, Coolfin, Mozaik, LAPD and Usher's Island, he has been at the forefront of the renaissance of Irish traditional music for over five decades.